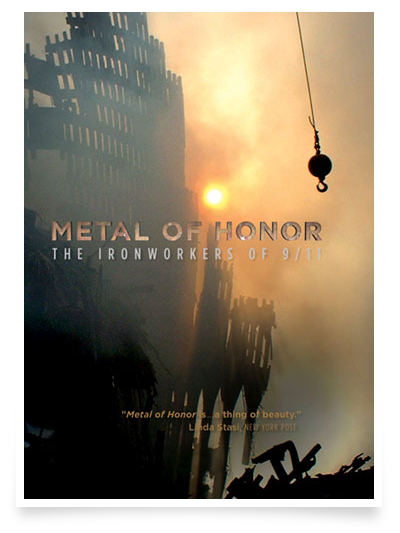 METAL OF HONOR chronicles the incredible account of the courageous New York City ironworkers who risked their lives following the tragic events of September 11th. This powerful and poignant 75-minute documentary takes you behind police lines to witness the events at Ground Zero through the eyes of the structural ironworkers from New York's Local 40 who toiled with manic dedication at the site. METAL OF HONOR is their story, in their words. A story of human spirit, camaraderie and passion. Naja Productions is committed to bringing together experienced, talented people to create high-end, intellectual programming. We strive to create an environment that fosters creative growth and allows professionals the opportunity to utilize their expertise in a dynamic, positive way.